I think for a nation, there comes a point where you can go to jail for what you say, for running a website or for just speaking the truth - which for me would be an honour. Ilham Tohti is a professor at the Central University for Nationalities in Beijing and has been consistently outspoken on Uyghur rights in China. Previous to his sentencing of life imprisonment in 2014, he was detained numerous times as a result of his advocacy. 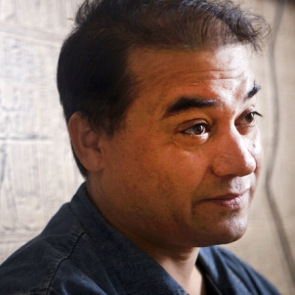 In 2006 Ilham Tohti set up the moderate Uyghur Online website to discuss social issues involving Uyghur-Han relations, in articles published both in Chinese and Uyghur. Chinese authorities alleged this website played a role in instigating the violent unrest in Xinjiang province in 2009 which left up to 200 people dead. Following this the site was shut down and Ilham Tohti was questioned repeatedly by police who accused him of separatism. He was arrested in January 2014 on charges of inciting separatism and later that year was sentenced to life imprisonment.